How to determine the effectiveness of an organisation’s information systems is the subject of continued debate in the IS community. Difficulties surround such issues as agreement on evaluation criteria, agreement on quantitative and qualitative methods, and the politicising of the evaluation process. In this paper, the author relates the nature of school information systems to mainstream information systems research. 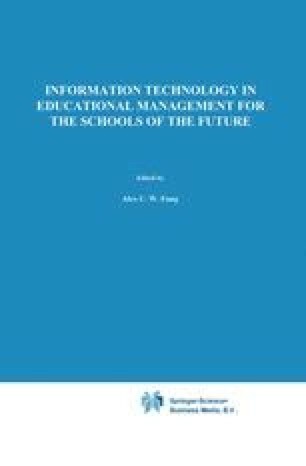 The literature surrounding Information Technology in Educational Management (ITEM) is reviewed, and an underlying model for school IS evaluation is presented. Using previous results as a basis, the author proposes a strategy for investigating the link between a school’ s culture and its IS emphases.